Hello! Your senior year in high school is such a fun and exciting time. You are making friendships that last a life time and memories you will cherish forever. You are ready to show the world the person you have become and the accomplishments you have made along the way, and what better way to do that than a senior photography session? I have been photographing high school and college seniors in Oklahoma for years, and I have yet to meet two seniors that are alike, which is why I strive to make each senior session fun and unique. Maybe you want a bunch of props, or none at all. Maybe you want to dance on a roof top or twirl in a field, we can make it happen! My mission is to give you an amazing, personalized senior experience. Grab a session slot and lets go on an adventure! It's time to show the world how beautiful you are! I promise, we will have a ton of fun! After you book your senior photo session with me, you will receive my high school senior portrait questionnaire. Here you will tell me everything you want out of your session with me. I will contact you about a week before your session and we can discuss every detail about outfits, props, and locations. Senior portrait sessions take place in the Oklahoma City and Tulsa metros. If you are interested in a High School Senior Adventure Session, contact me and we can discuss pricing and availability. I can’t wait to work with you!! 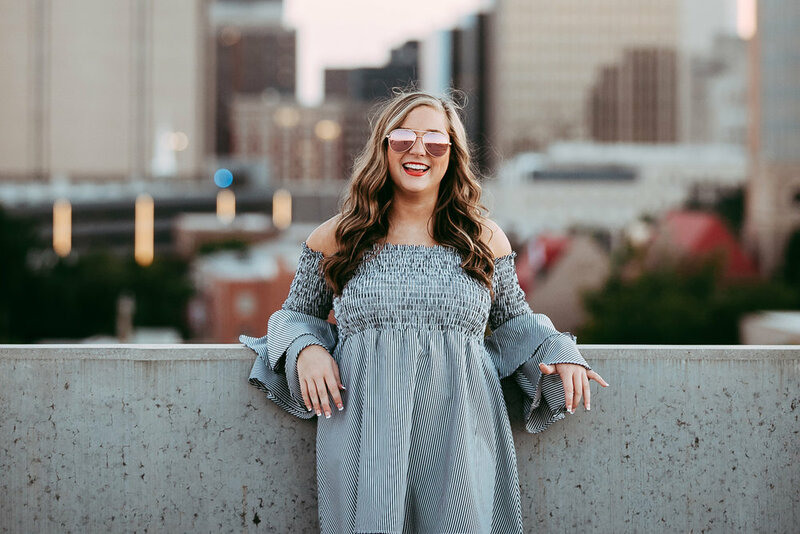 Specializing in high school senior portraits, Amanda Lynn has been nationally featured on some of the most reputable high school senior social platforms. Prices subject to change without notice. Prices honored after booking is secured. All pricing subject to Oklahoma State sales tax.